Myth Debunked: Can jumping in a falling elevator save your life? Strange elevator noises always manage to make us feel uneasy. Panic takes over for a brief 0.2s before the elevator continues to function normally and we return to questioning the choice of elevator music. It’s no surprise that there are popular theories about the best survival tactic in case this childhood nightmare ever occurs and the elevator cables snap. But what if exactly before the falling elevator crashes, you jump? That way you won’t be falling anymore since you would have jumped upwards, right? Unfortunately, the physics behind this scenario is far more complex than this. Gravity is not your friend here. It accelerates the speed of the elevator (and you) by 9.81m/s/s. Air resistance slows you down but considering the weight of the elevator, you’d easily be travelling at a speed that’s well over 100km/h (28m/s). If you do manage to jump at the exact moment before the elevator crashes, your jump would decrease the speed of crashing, but around 1.3m/s. Powerless compared to the overall speed. Unfortunately, at this speed you wouldn’t simply be crossing to the great divide, you’d be overspeeding pulverising your internal organs. Despite this myth being untrue, there is some good news. 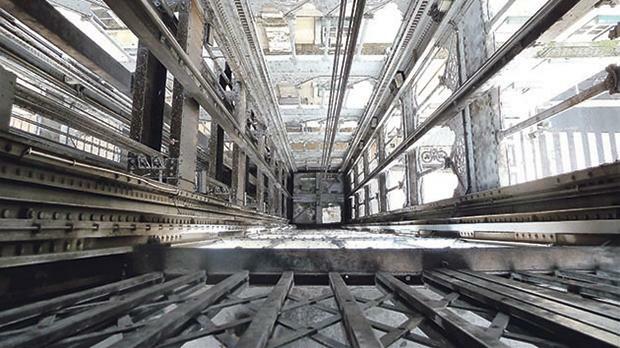 Modern elevators have countless safety features. The chances of you ending up in this predicament are a miniscule 0.00000015 per cent. In fact, elevators are safer than escalators or taking the stairs – though we still think you should.